See a comparison with a soda can. 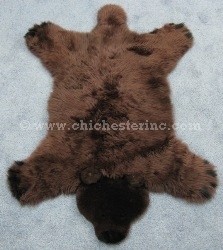 These unique "bear" rugs are made using Australian sheepskins, which are soft and luxurious with a clean and supple skin. The rugs are 51" long and 23" wide across the middle. From paw to paw, they are 32" wide. 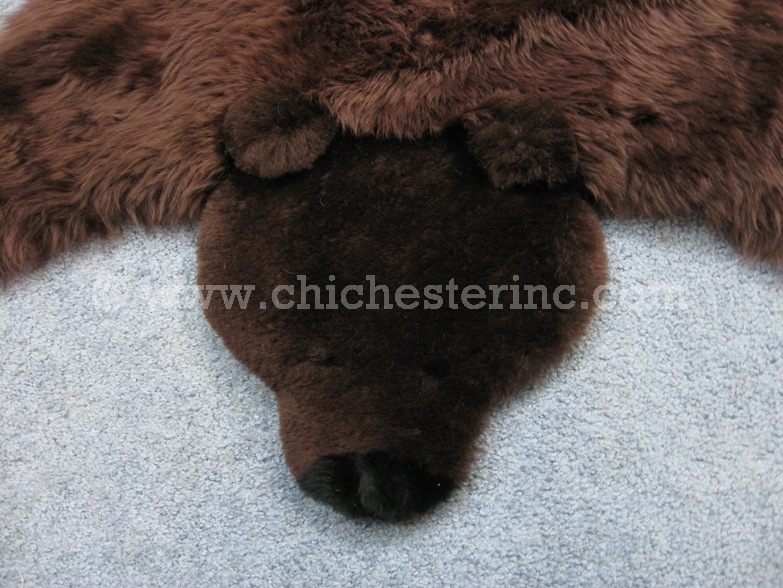 The eyes, claws, and nose are dyed black sheepskin. It weighs approximately 1.51 kg . 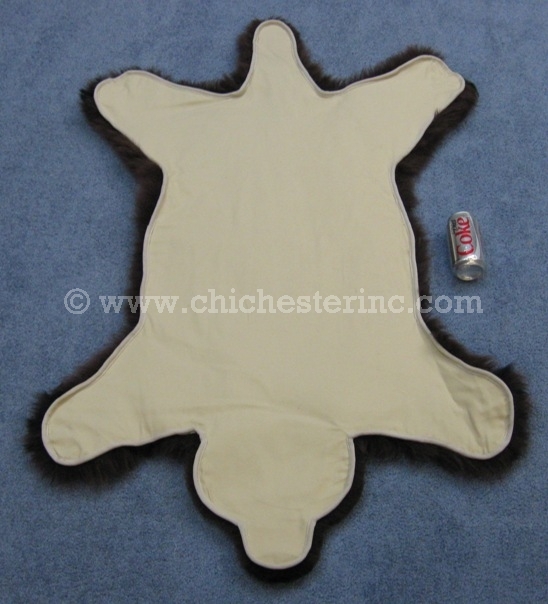 On June 20, 2011, it cost US$68.50 to ship on rug to Australia by U.S. mail.